States restrict immigration on a massive scale. Governments fortify their borders with walls and fences, authorize border patrols, imprison migrants in detention centers, and deport large numbers of foreigners. Unjust Borders: Individuals and the Ethics of Immigration argues that immigration restrictions are systematically unjust and examines how individual actors should respond to this injustice. 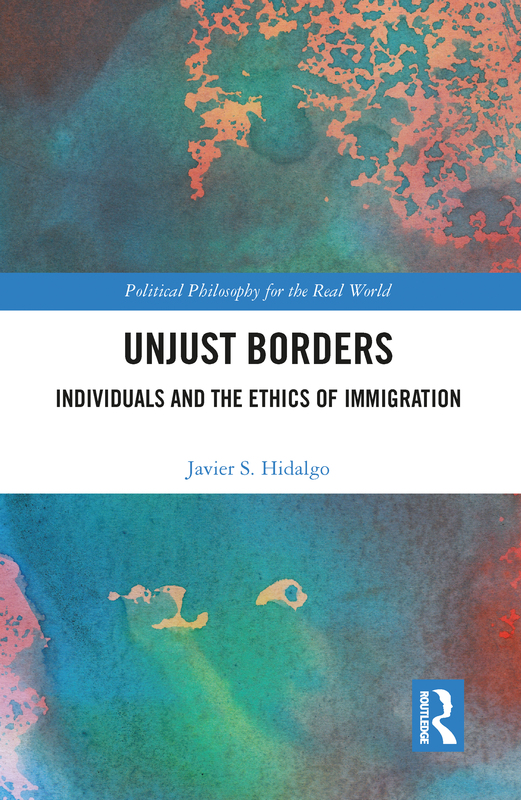 Javier Hidalgo maintains that individuals can rightfully resist immigration restrictions and often have strong moral reasons to subvert these laws. This book makes the case that unauthorized migrants can permissibly evade, deceive, and use defensive force against immigration agents, that smugglers can aid migrants in crossing borders, and that citizens should disobey laws that compel them to harm immigrants. Unjust Borders is a meditation on how individuals should act in the midst of pervasive injustice. Are More Open Borders Feasible? Does It Matter?